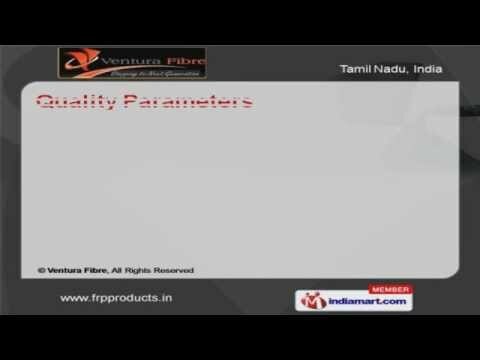 Welcome to Ventura Fibre Manufacturer & Supplier of FRP Products The company was established in the year 2009. Our superior quality products, extensive R& D process & spacious warehouse have helped us to earn present repute in the market. Timely delivery, Customized packaging & Well versed sales team are some of the plus point of our organization. Durable Finish, Safety & Corrosion Resistance are some of our quality parameters. We undertake various quality tests like Spark, Acetone & Hydraulic Pressure Tests. Our product comes with features like Durable Finish, High Strength, Corrosion & Chemical Resistance. We are engaged in offering FRP & Industrial Fiberglass Products. Our FRP Cabins, Gratings & Acoustic Enclosures are a class apart. Along with that we provide Industrial Fibreglass Products.